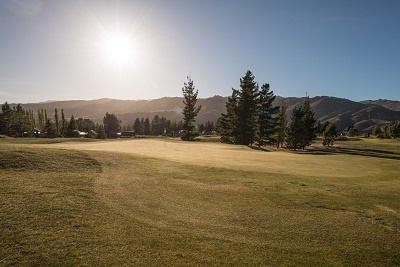 A championship links style golf course 200km from the coast, a climate that ensures it is always open for play, greens to be envied, and with 5 different tee options it is a challenge for all levels of golfers. 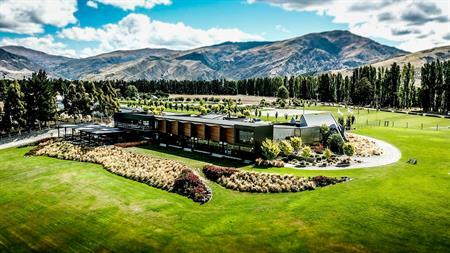 Cromwell Golf Club is current host of the NZ Open final qualifier and is located only 50 minutes from Queenstown. 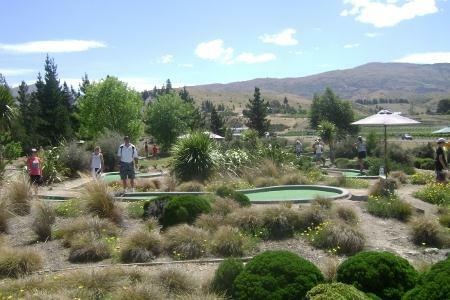 Cromwell Mini Golf Situated on Murray Terrace (behind the Big Fruit) A fun activity suitable for all ages. 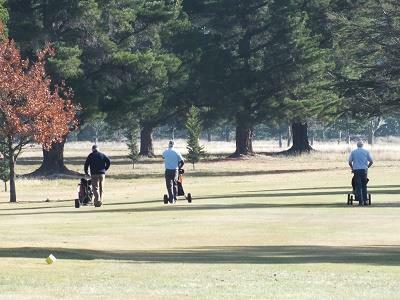 A beautiful well manicured 9 hole course with 18 tees conveniently located in Clyde, handy to facilities. Visitors are most welcome. Green fees are very modest at $25. Bookings are not required. Club competition days: Tuesday (ladies), Wednesday, Thursday (9-hole ladies), Friday, Saturday, Sunday. 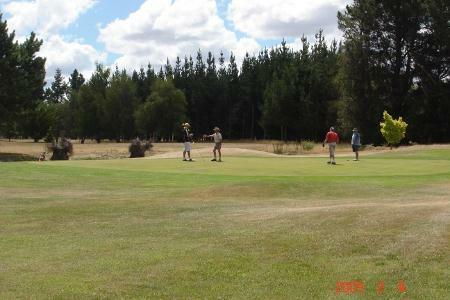 The Maniototo Golf course is situated on the edge of the Ranfurly township in the vast Maniototo plain. 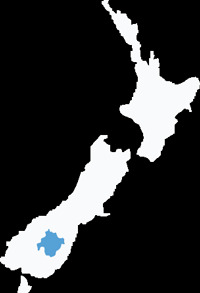 1 1/2 hrs drive from Dunedin via the Pigroot state highway 85 and 1 hr from Alexandra. 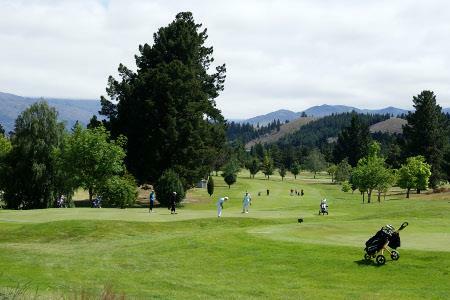 Omakau is a 9 hole course which is set in quiet country surroundings with beautiful views. 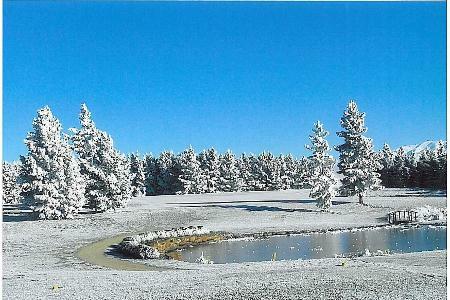 It is under irrigation, has 5 bunkers and water hazards which attracts various bird life and some golf balls. 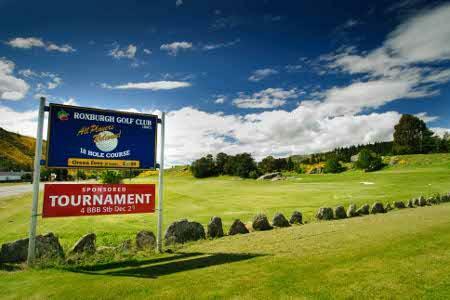 The Roxburgh Golf Club is an 18 hole course set in natural Central Otago surrounds.